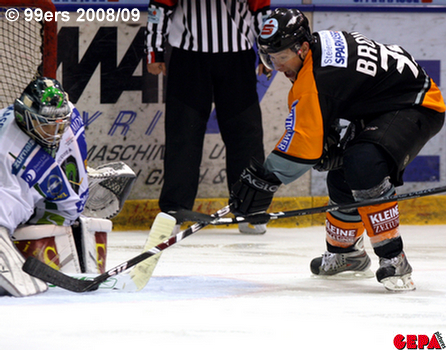 March 3, 2009 The season is over for the Graz 99ers after their seventh and final game loss in this years playoff round to Vienna. 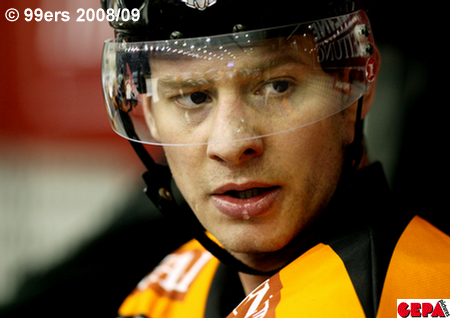 It is unfortunate the 99ers were without Marc who is known to be a top playoff performer. February 27, 2009 Marc goes in for surgery to repair a ligament torn in his knee. A second MRI showed there was more damage to his knee than was first suspected. Marc will be have his surgery tomorrow and it will take 2 months of rehab. 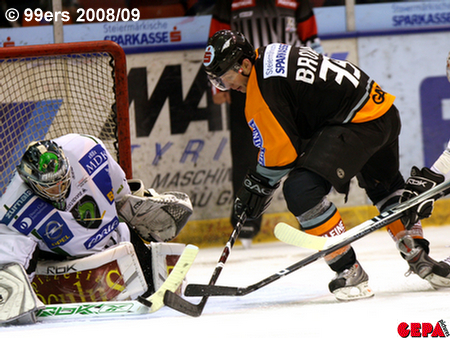 February 15, 2009 The last regular season game produced a 2-1 victory over League Champion Salzburg for the second time since Marc jointed the 99ers two months ago. 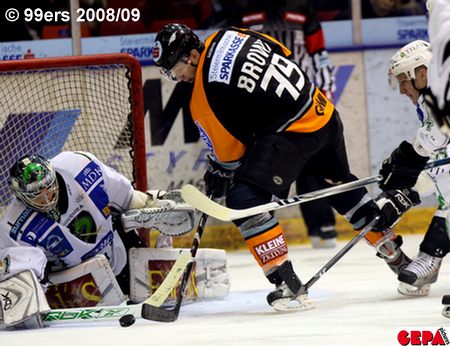 But it proved to be a costly victory for Marc and the 99ers. 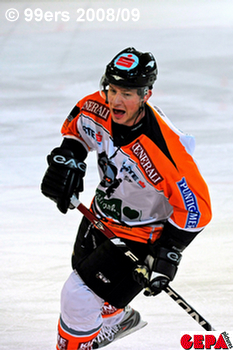 Marc took a low check from a Salzburg player on the boards directly to his knees. Though the check didn't look terrible, because it wasn't an open ice hit; it could be classified as a dirty check. Marc knew right away something was wrong and a MRI proved he has a torn MCL which will take about 6-8 weeks to heal properly. This means Marc will not be available for the playoffs. 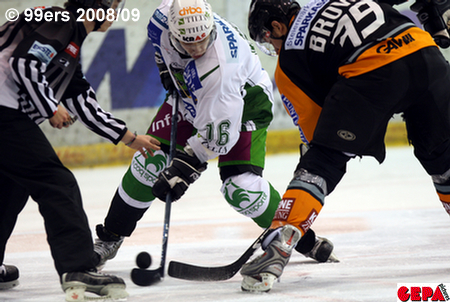 January 25, 2009 Marc scores 1 assist on the winning goal in overtime for a 2-1 victory over Innsbruck in today's home game. Graz has now secured a playoff spot with this win and moves further ahead of Innsbruck and 2 points behind Jesenice for 6th position. 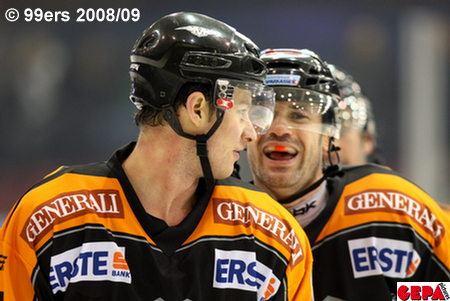 January 9, 2009 Marc scores 1 goal in 5-2 victory over Jesenice in today's away game. Graz is now 6 points ahead of Olimpija Ljubljana for the 8th and final playoff spot and only 2 points behind Innsbruck for 7th position. 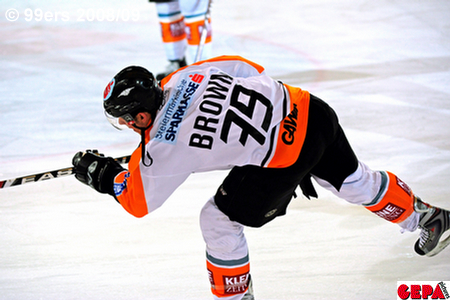 January 6, 2009 Marc scores the winning goal in a 3-2 victory over current League Champion, Salzburg, in today's away game. This is the first victory for Graz over Salzburg this season. The pictures below of Marc are courtesy of © Felix Roittner / GEPA Red Bulls Media Pictures Database. 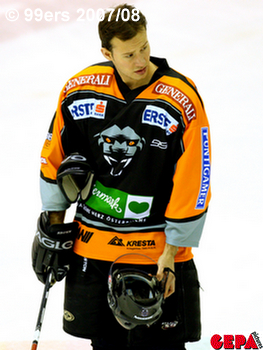 January 4, 2009 Marc made his home ice debut count with one assist in today's 3-2 victory against league leading KAC. 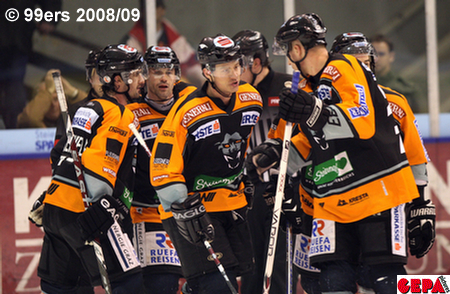 This was the first victory for Graz over KAC in two years. 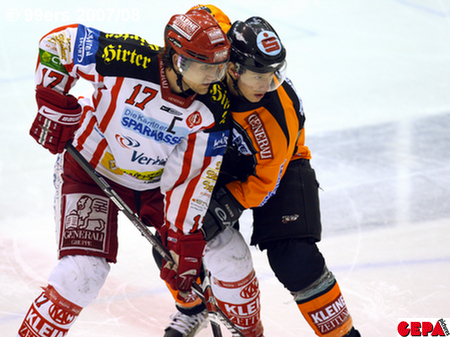 Below are two pictures from the KAC game. 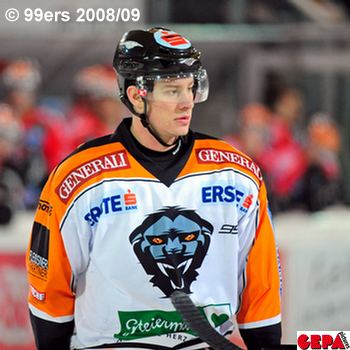 January 3, 2009 Here are some pictures of Marc in his Graz 99ers uniform I've found on the www.graz-99ers.at web site in the Gallery section. 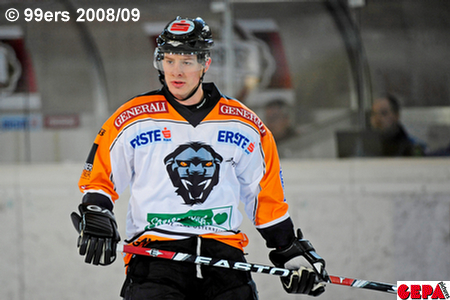 December 23, 2008 Marc signed a contract with the Graz 99ers in the Austrian Erste Bank League today. His contract is for the remainder of this season only. 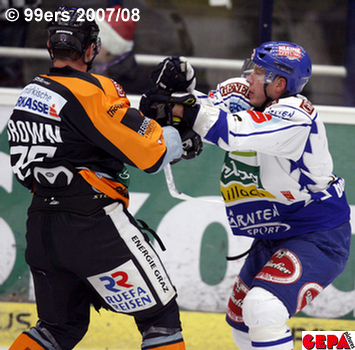 Let's hope Marc helps Graz make this years playoffs. 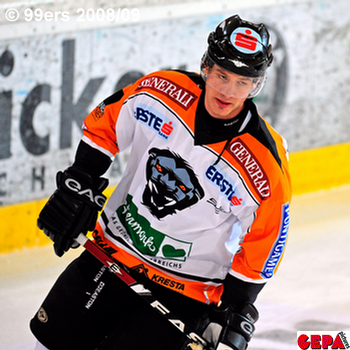 Graz is in 8th position in the league which is the final playoff spot with only 1 point ahead of the 9th place team.